Originally created in 1954, the Domaine de la Pousse d’Or has long been among my favorite domaines of Burgundy. I first tasted two of the Volnays (Bousse d’Or and Clos de 60 Ouvrees) in the early 1980s and got to know the range of wines better tasting with Becky Wasserman (who was then their broker) in 1986. I have tasted at the domaine for the last sixteen years. Current owner Patrick Landanger purchased the property in 1997. Over all that time, I have watched Pousse d’Or grow from a Volnay specialist with some Santenay and Pommard to include vines on the hill of Corton (1999), in Puligny Montrachet (2004), and in Chambolle and Morey (2008). At this time Spec’s is able to purchase sixteen wines (one village appellation, twelve 1er crus, and three grand crus) from the estate, all of which are consistently excellent. (There are two wines – Chevalier Montrachet and Corton Bressandes – we don’t get yet.) On Monday, September 24th at 7pm, please join me (Spec’s fine wine buyer Bear Dalton) at the Wine School at l’Alliance Française for a Tasting of Domaine de la Pousse d’Or 2015. We’ll taste through sixteen Pousse d’Or wines from the fine 2015 vintage including fifteen reds and one white with special attention paid to the specificity of place and process of each wine. Please note that this includes two versions of the Volnay En Caillerets, one aged in oak barrels and one aged in clay amphora. 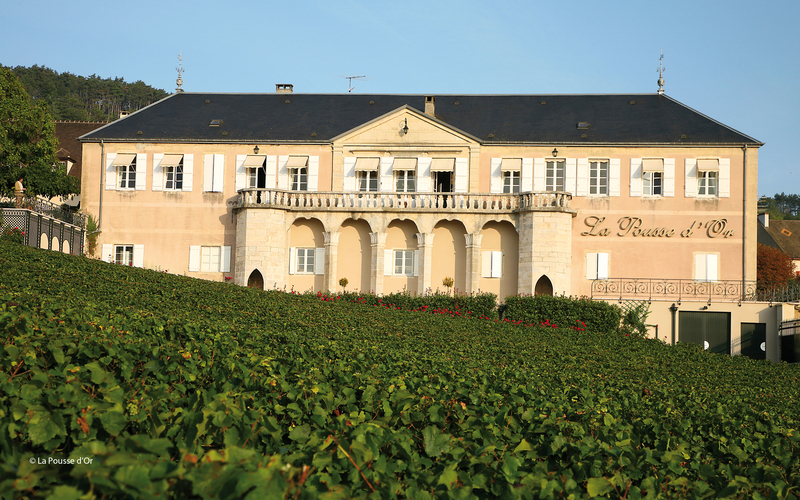 Domaine de la Pousse d’Or 2015 will cost $190.00 per person (Cash or Check) or $200.00 regular. The class will meet at 7pm on Monday September 24th at l’Alliance Française. To purchase your ticket, please contact Bear at 713-854-7855 or BearDalton@mac.com.